One of the great things about writing reviews for a range of newspapers, magazines, and websites in New Zealand, Australia and further abroad, is that I get the opportunity to write reviews of different lengths for different publications - and also the chance to share my views on various crime and thriller titles with different audiences. It gives me more avenues to try to cover as many of the wonderful (and not so wonderful) crime and thriller novels I'm sent to review, as possible. It's also nice to be able to write slightly longer reviews now and then. As I said on 12 October, I have started contributing to Reviewing the Evidence, a website set up by Barbara Franchi in 2001 to help fill the growing void of mystery review websites. It now boasts thousands of reviews of mysteries and thrillers of all categories, and has more than 30 reviewers from the US, the UK, and Australia. The site is edited by Sharon Wheeler, a UK-based journalist, and by writer and translator Yvonne Klein. I am their first NZ-based reviewer, and I will be looking to contribute semi-regular reviews to their site. Each fortnight or so they publish about 15-20 reviews, and their most recent 'release' included my review of Lee Child's 61 HOURS. 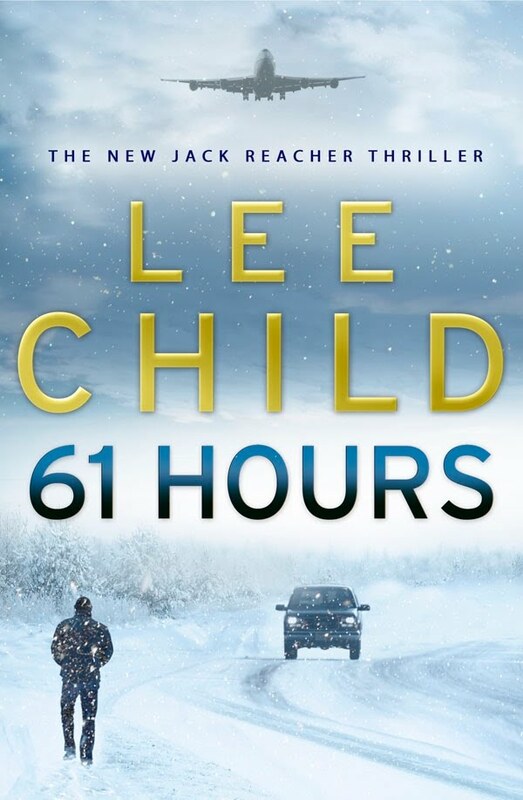 61 HOURS is of course the latest Jack Reacher thriller -the 14th annual book in Child's massively popular series startting the homeless hero. It's currently sitting at #1 on the International Adult Fiction bestsellers list down here in New Zealand (and has been almost the entire time since its release a few weeks ago). In 61 HOURS Reacher finds himself stranded in a snow-swept South Dakota small town, and then caught up in a crisis involving a police-protected witness, drug-running bikers out on the prairie, a professional hitman, and a Mexican drug lord. You can read my Reviewing the Evidence review of 61 HOURS here. I'd reviewed the book earlier last month for the Nelson Mail newspaper here in New Zealand, but it was nice to be able to write a bit of a longer review, and explore a few more things about the book, which I did enjoy. It was actually my first taste of Lee Child and Jack Reacher, but it certainly won't be the last (I already have another three Reacher titles in my TBR pile now). Thoughts and comments on my review, 61 HOURS, Lee Child and Jack Reacher, and the Reviewing the Evidence website, all most welcome. I'm Andrea, Mperience Communication Manager (www.mperience.com). By the way, take a look on our website and , please, tell us what do you think about it.